Great news! Our Buxton-based Meet and Eat group can now be run every fortnight, rather than once a month, thanks to grants from the University of Derby Community Fund and the Hall Bank Trust. 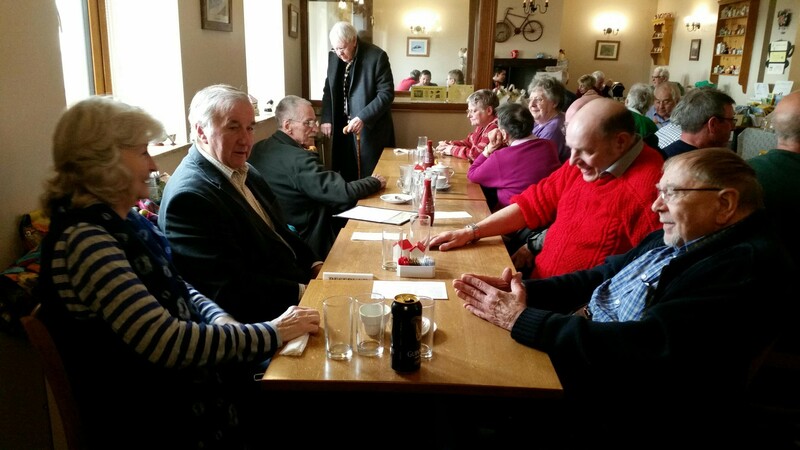 The service takes groups of older people out for a meal together at a variety of venues, providing the opportunity for socialising and for a good meal in good company. Emma Robinson, the Coordinator, explains, “Often older people can be isolated and lonely, and added to that, sometimes they don’t bother to cook properly if it just them on their own. Meet and Eat gives chances to meet up with other people and they get a good meal too, so the more often we can run it, the more good it does”. For more information about Meet and Eat, contact meetandeat@connex.org.uk or call 01298 23970.